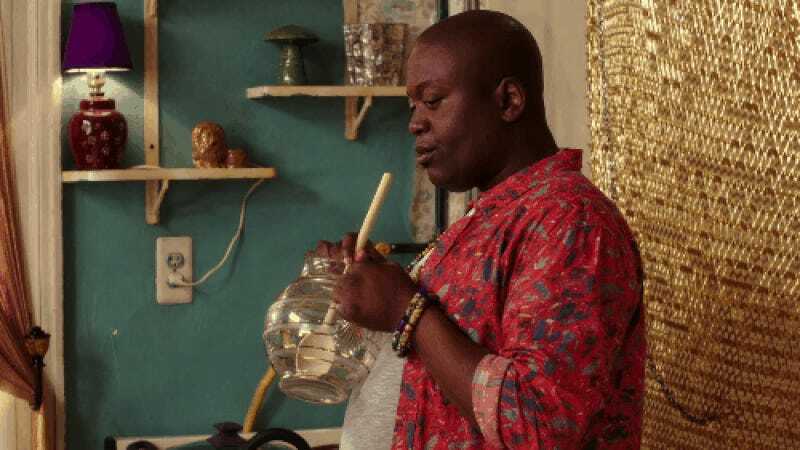 The moving company Tituss Burgess complained about—yelped about!—on Yelp has responded to the 2015 Emmy nominee for Outstanding Supporting Actor in a Comedy Series. Burgess wrote a negative Yelp review of Franks Express in which the actor, best known for his Emmy-nominated role in Unbreakable Kimmy Schmidt, called the movers out for being “the absolute most unprofessional workers” and accused one worker of using a gay slur. Dear Tituss! We are very sorry for fatal misunderstanding. But we have never spoken with you by phone. We never reserve our trucks and crews via phone. It is rule! Our process is next: a customer send us request via website thn a customer must confirm a move plan via email. If you have phone number, saved chat and messages please provide us. We never ask our customer about good reviews before a move. And of course our dispatcher never threatens to our customers. We are very small Company and we watch our reputation. It would be an honor to help Tituss Burgess for us. We would try to do our best. But we suspect that someone is using our good Company name and our reputation. We have appealed to USDOT for help to find cheaters. Please help us with any information about those guys. Please contact with our Owner for the discuss. Thank you in advance.